We all know the importance of moisturising our skin, but with so many formulas available, it can be a bit daunting know what you should use. 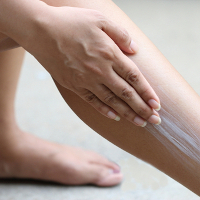 Is a Body Lotion best – after all, they’ve been around for so long, they must work – right? What about a Body Cream – how does that differ from a Body Lotion, and would you be better off using this? Or would a Body Oil be best for your skin’s needs? All 3 products are good for your skin, it just depends on your skin’s specific needs. Read on to find out about the specific benefits of each, and which one will suit your skin, as well as a few of our favourite products in each category. Hopefully we’ve just made shopping a little easier for you! Body Lotions tend to be in the middle of Body Oils and Body Creams in terms of texture. They have a light emollient texture, and are designed to penetrate your skin so the active ingredients can go to work hydrating and nourishing your skin. Body Lotions are generally good for skin that isn’t super dry, and as they absorb quickly, they are great if you live in a humid location. Look for Body Lotions that contain beneficial ingredients such as Hyaluronic Acid (to boost moisture retention), or Vitamin E (to soothe and protect), or Vitamin C (antioxidant protection and firming), and you’ll keep your skin looking smooth and hydrated. We love the Jurlique Body Lotions – our favourite at this time of year is the Jurlique Restoring Lemon, Geranium, and Clary Sage. With an abundance of pure organic botanicals the indulgent body lotion absorbs quickly to moisturise, protect and soften your skin. With nourishing Avocado and Macadamia Oils and natural Lemon, Geranium and Clary Sage fragrance, it leaves your skin deeply hydrated and beautifully scented. 300ml RRP $49.00. 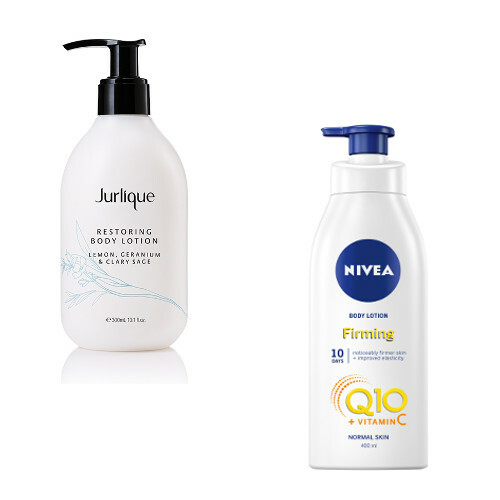 Another of our favourites is the Nivea Q10 Plus C Firming Body Lotion. As the name suggests, the formula is enriched with the powerful antioxidants Q10, and Vitamin C, to help improve the firmness and elasticity of your skin. The fast absorbing lotion provides a hit of instant hydration, and moisturises your skin for up to 48 hours. 400ml RRP $9.99 (also available in 250ml size). Body Creams tend to be the thickest of the body moisturising products (along with Body Butter). Body Creams often contain plant derived oils (such as Shea Butter, and Cocoa Butter), to provide deep hydration to your skin. Body Creams provide a strong barrier to lock moisture into your skin, and are great for dry to very dry skin types, and most skin types over winter, when skin can get very dehydrated. Due to their consistency, Body Creams can take a little longer to absorb into your skin, however if its deep moisture you are after, Body Creams are your best bet. 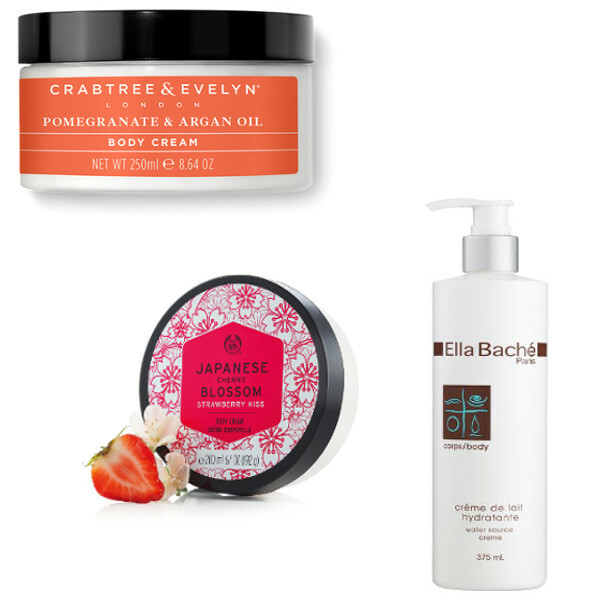 Heading into Autumn and Winter, with sport on the horizon and a bit of skin on show, we’re using quite a few Body Creams, and our favourites are the Crabtree & Evelyn Pomegranate & Argan Oil Nourishing Body Cream. The luxe, rich formula with Soybean Oil, Shea Butter, Pomegranate Seed, Grapeseed, Argan, Pistachio and Sweet Almond Oils intensely moisturises your body, leaving your skin hydrated and supple, whilst the delicate sweet scent eaves you feeling like you’ve (almost) had a Summer holiday. 250ml RRP $40.00. Infused with the extract of hand-harvested, cold-pressed Japanese cherry blossoms and juicy notes of strawberries, pink peony and amber, The Body Shop Japanese Cherry Blossom Strawberry Kiss Body Cream is a rich moisturising Body Cream that leaves skin super hydrated and delicately scented with an irresistible fresh and fruity aroma. 250g RRP $26.00. Rounding out our list of Body Cream faves is the Ella Bache Water Source Creme, a rich and lubricating protective cream, which helps to restore moisture levels to even the driest skin, leaving your body feeling soft, supple and well hydrated. The Creme helps to form a moisture barrier that protects skin from external elements that may cause the skin to dehydrate. 375ml RRP $99.00. Body Oils are the lightest, most emollient of the 3 types of body moisturisers. Many Body Oils contain vegetable oils, which mimic the natural lipids found in our skin, which means they are absorbed very easily, and soften and nourish your skin quite quickly. Body Oils are very good at locking moisture into your body, and preventing it from leaving, and they are best applied straight after a shower (or bath), after drying, as they will lock any residual moisture into your skin. Body Oils usually nourish the outer layer of your body skin, and are quickly absorbed, so they do not leave your skin feeling greasy. Body Oils are very good for dry, to very dry skins, and although most oils are non-comedogenic, they are not water based, so may cause breakouts, so avoid using them on acne prone areas (such as the back). We love Body Oils for a quick Summer Hydration, and to lock in moisture over Winter. Some of our favourites are the Moroccanoil Shimmering Body Oil – the oil instantly infuses your skin with the intensely nourishing blend of antioxidant-rich Argan Oil and Sesame Oil. The formula absorbs into your skin quickly to revive and moisturise, while soft pearlescent minerals shimmer for a radiant look and feel. 50ml RRP $71.50. 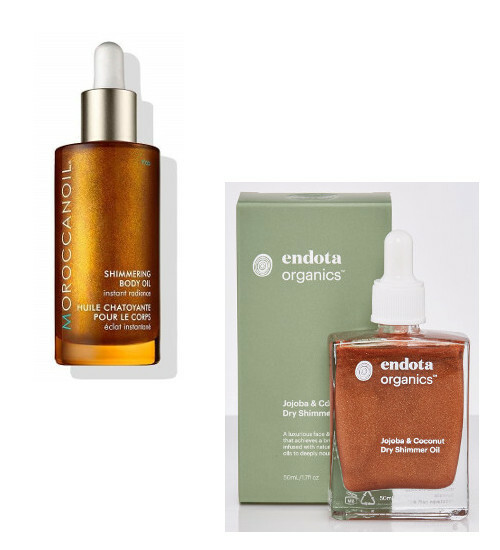 We also love the new vegan-friendly endota spa endota Organics, Jojoba & Coconut Dry Shimmer Oil. The fast absorbing, luxurious oil can be used on your face or body, and achieves a bronze lustre infused with naturally derived oils to deeply nourish and hydrate your skin. The oil absorbs easily into your skin, without leaving a stick or oily residue, just a gorgeous sun kissed glow (deep into Autumn and Winter). Insider tip, if using this for your face, add a couple of drops to your favourite foundation for a dewy, year round sun-kissed Summer look. 50ml RRP $50.00. We have recently seen companies getting clever, recognising the benefits of Body Lotions, and Body Oils, and launching a hybrid oil infused Body Lotion, with the benefits of both a Body Lotion and a Body Oil in one product. These fast-absorbing, nourishing lotions are able to penetrate into your skin, deeply nourishing dry, dehydrated skin, and the addition of the oil helps to lock moisture into your skin, keeping it moisturised for longer. 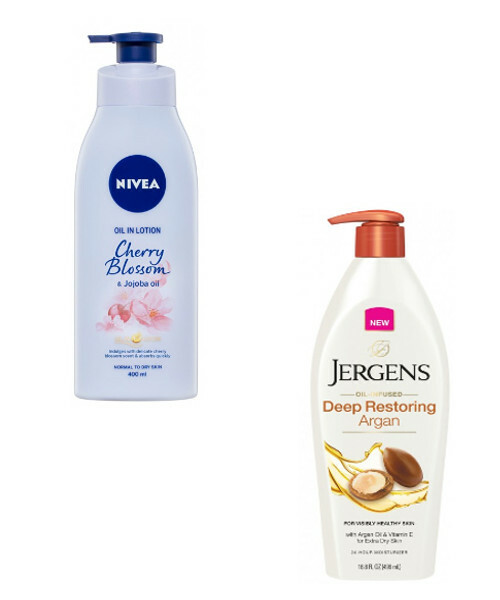 Two of our favourites are the Nivea Oil in Lotion range (available in three variants), and the Jergens Oil-Infused Moisturiser range (available in 4 variants). The Nivea Oil in Lotion range provides the indulging care of an oil, in a fast absorbing Body Lotion, providing moisture for your skin for up to 24 hours. The range consists of Rose & Argan Oil, Cherry Blossom & Jojoba Oil, and Vanilla & Almond Oil, each providing the same level of long lasting hydration and care – just choose the scent you prefer. 400ml RRP $9.99. The Jergens Oil Infused Moisturiser range locks in the moisturising power of essential oil ingredients, to provide long lasting moisture. The addition of the Jergens Hydralucence™ technology, ensures dull, dry skin is supplied with a continuous source of moisture as soon as it is applied. Available in 4 variants – Deep Restoring Argan, with Argan Oil and Vitamin E, Enriching Shea Butter, with Pure African Shea Butter, Nourishing Honey, with Honey and Orange Blossom Essence, and Hydrating Coconut, with Coconut Oil and Coconut Water, the nourishing oil blends sooth, replenish and nourish your skin. 496ml RRP $11.99. So now you know the difference between the various body moisturisers. It may be that you need a different formula depending on the time of year, or your time of life, so don’t be afraid to switch. Do you use a Body Lotion? Which one? Or are you more of a Body Cream person? Have you tried a Body Oil before? Are you tempted to try one now? Let us know in the comments below. Excellent article. Finally body oils, lotions infusions clearly explained.